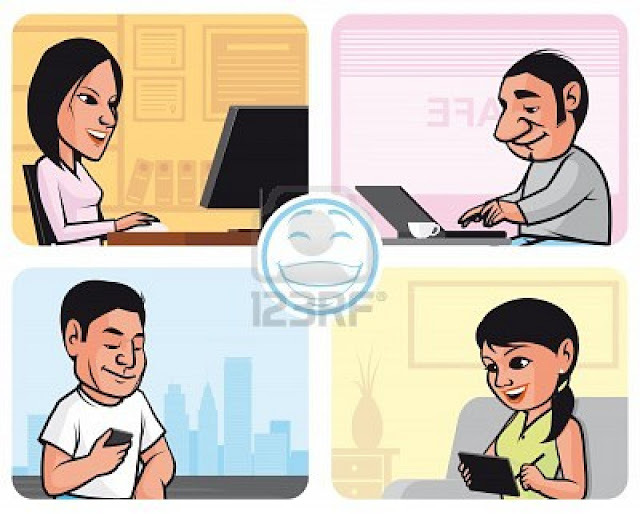 Accessing Internet on the go: laptop, tablet or smartphone? Modern living requires you to be able to access the internet at some point during the day, whether it’s to make a utility payment, or catch a television program you missed. Telecommunications companies have realised the potential of mobile broadband with the 3G network. The 4G network is coming, making mobile broadband an asset to our lives. Hint: What is 4G? If you’re new to mobile broadband and wonder what the best device to use is, you currently have three options: laptop with dongle, smartphone and tablet. What you use primarily depends on what you are doing and where you are doing it. Most of us are engaged in data heavy work of some sort and already carrying a laptop with us. Those who are happy with this will find the dongle provides the internet in the majority of the UK. The advantage of this is it doesn’t change the habits that are already created. The dongle plugs in like a USB stick and doesn’t add and weight to the daily load. The downside is patchy signal and the dongle itself is so small that leaving it in a cafe on the M6 is easier than you think. There are both pre paid and contract. Contracts offer a higher connection speed and larger data limits, but users are locked in for 18 or 24 months. There are even deals out there that offer free laptops with mobile broadband . These Pre paid 'dongles' allow connection by the day, week, or month. Which option will suit you depends on how much data you get through each month. Smartphones have come to define our generation. Apps – small programs that have a single function, allow us to play games, keep track of our fitness goals, get up-to-the-minute news updates, manage our social media channels...I could go on...these coupled with their portability have put smartphones at the centre of our worlds. Checking your bank balance online while standing in a crowd is suddenly easy and discrete. If you need to navigate an unfamiliar place, GPRS makes finding your way around so much easier – now he doesn’t need to wait for her to ask for directions. Smartphones don’t lend themselves well to text heavy activities and you may find yourself migrating to a PC or tablet for data entry tasks. Tablets are the next generation of computing and despite their youth, there is serious stuff under the bonnet. They are small – between 7 and 10 inches – light and slim, so if your 15” laptop is giving you backache, you might consider switching. The onscreen keyboard on some models doesn’t make data entry tasks any easier than on a smartphone and you may want to buy an external qwerty keyboard. The Android 3.0 and iOS4 operating systems however are beginning to suggest why tablets are here to stay: astounding graphics and smooth multitasking – very important with the ever-shortening attention span – and a growing number of apps to go with all the offline applications we’re used to using. Their current downside is tablet optimised sites and tablet native apps, but time market is growing. iPad excludes Flash content making much of the internet unavailable. Android firmly supports Flash, deepening the divide between the two.The tablet market is young, so while you may not want to invest now, keep an eye out as they develop. There are exciting times ahead.